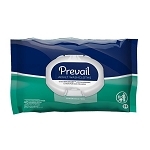 Prevail Soft Pack Wipes with Aloe/Chamomile/Vitamin E are a premium quilted fabric with pockets for better cleaning. They contain a skin smart hypoallergenic lotion for skin wellness. The enhanced fabric is softer and has a smoother surface for skin wellness. Alcohol free and lightly scented. Single hand dispensing that dispenses one wipe at a time. Press open lid for easy use with one hand. They are 8 x 12 inches. 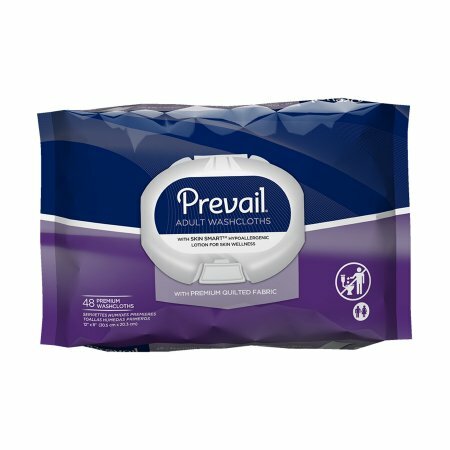 Available by the pack of 48 wipes or case of 576 wipes.